When it was released, I bought myself the new 2017 Kindle Oasis e-reader. I did NOT buy the Amazon-branded cover and right now, I am feeling pretty happy with that decision. Both the leather and the fabric versions of the Amazon cover are getting extremely poor reviews from customers. The products are currently at a two-star average rating. The main functional complaint about these covers is that the cover keeps sliding and falling off the device. Like the original Oasis, these only cover part of the device. Many customers are complaining that because of the new aluminum back on the device itself and weak magnets in the cover, the device offers little protection for the expensive Oasis. There are also complaints stating that the covers are flimsy, poorly designed and over-priced for a product that costs $45 for fabric and $60 for leather. Since the new Oasis is really slippery, it is a difficult device to use without a cover. I have a device bag, but for right now, I am refusing to take the device out of the house without a cover. Several third-party covers are starting to crop up on Amazon, but none are sold by Amazon itself or available via Amazon Prime shipping. One of these does look interesting, however: The MoKo Case for All-New Kindle Oasis (9th Generation, 2017 Release) – Premium Ultra Lightweight Shell Cover with Auto Wake / Sleep for Amazon Kindle Oasis E-reader Case, BLACK. This is a clamshell case that is only available through a vendor that ships directly to the consumer and the delivery date is two weeks out with expedited shipping. 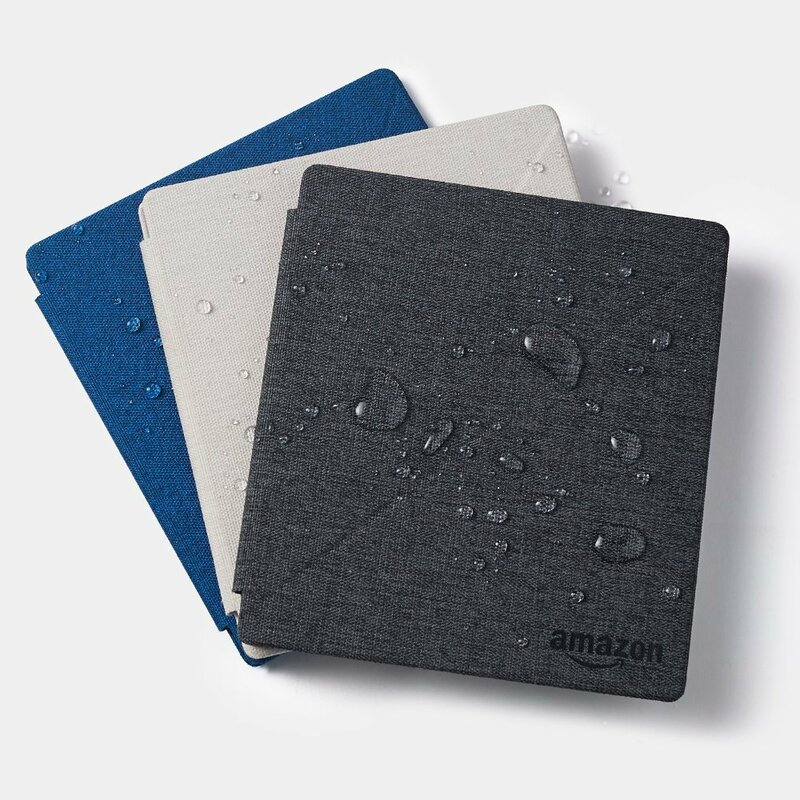 MoKo makes a number of covers for Kindles and Fire tablets that are available on Amazon. I am predicting that this one will soon be available as well. I own several of the MoKo covers and have found them to be well made and to fit well. Did you buy one of the new Oasis covers? What are your thoughts? This entry was posted in eReaders, Kindle and tagged 2017 Oasis, complaints, covers. Bookmark the permalink.